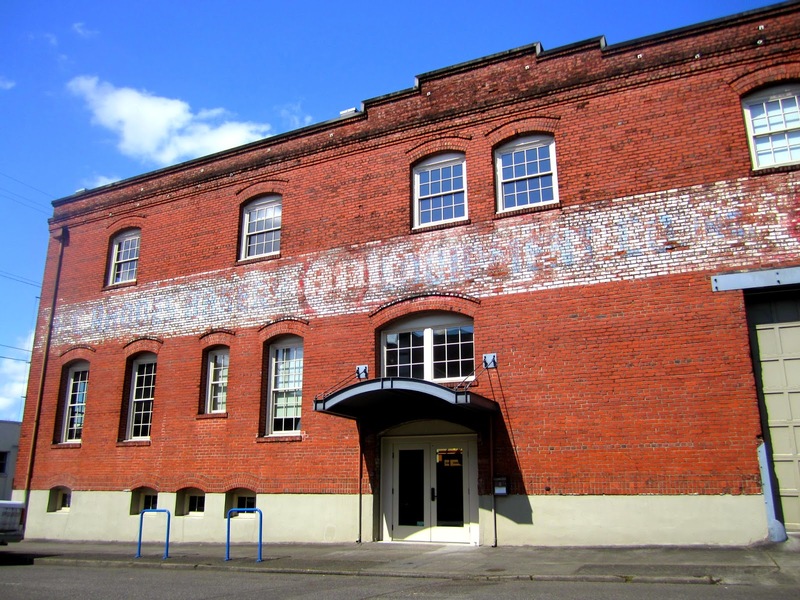 This beautiful old building houses Vintage Mingle Rentals and Petite Events located in Portland, Oregon. 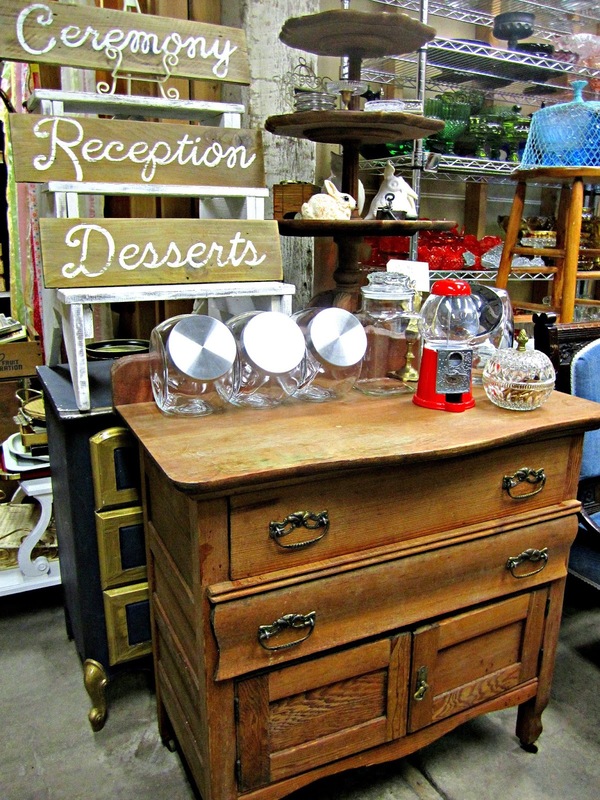 I took a peek inside this past weekend to see just what Vintage Mingle has for rent. 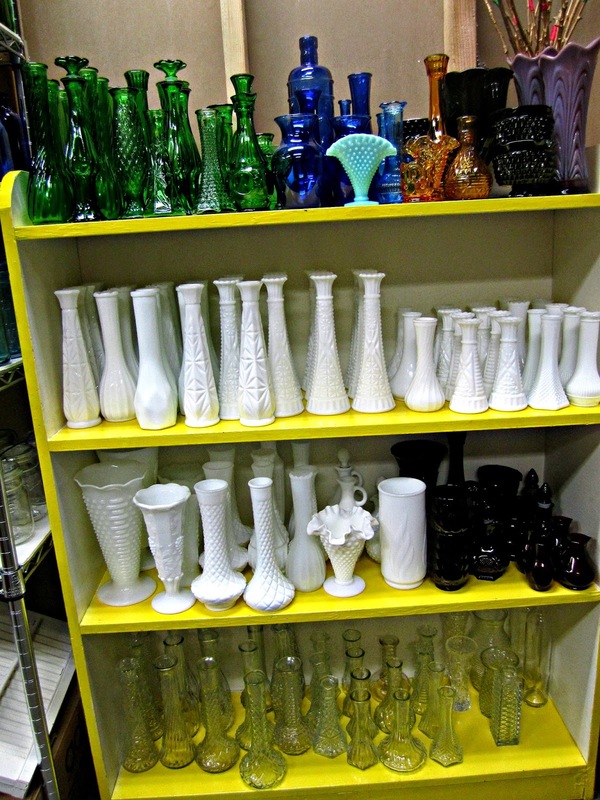 When you walk into Vintage Mingle this book case full of beautiful vases just waiting to be filled greets you. That green glass would be perfect for a Wizard of Oz, St. Patrick's Day or a glamorous lux event. Cake stands are a weakness for owner, Pilar. As they are for all of us who throw a lot of parties. 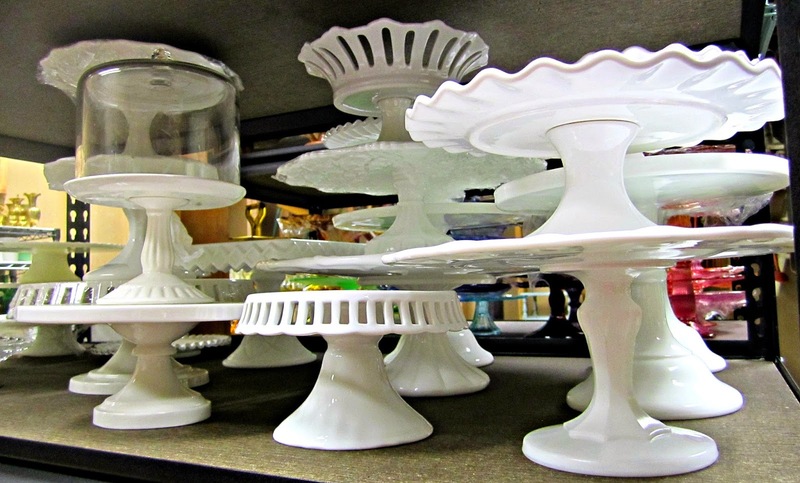 Although we'd love to collect all the cake stands we fall in love with, we don't always have the room. That's why rental places like Vintage Mingle are so great. 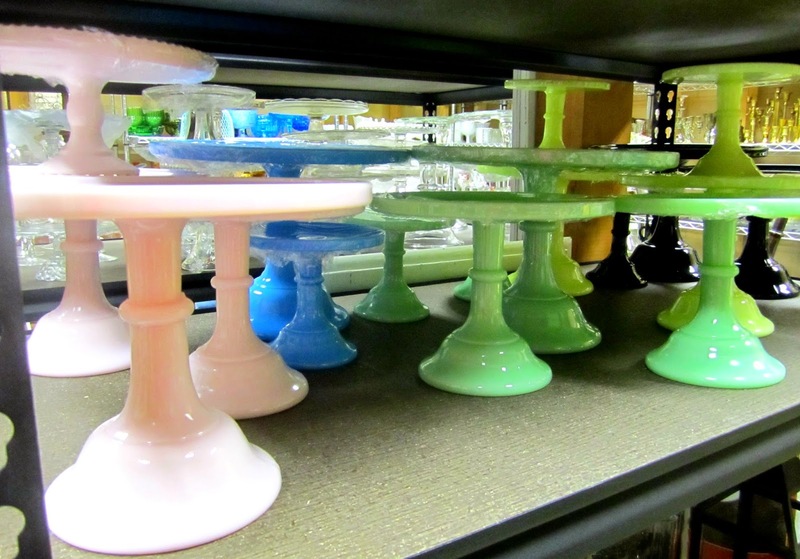 You get to enjoy the many beautiful cake stands without having to figure out where to store them! 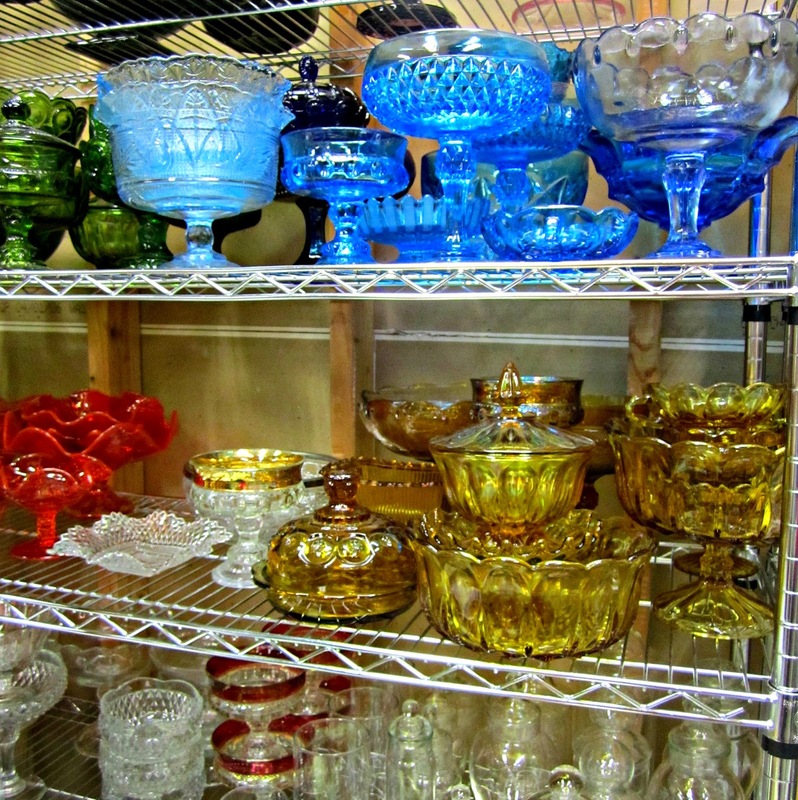 Clear glass is always a great choice for parties. It allows the pretty colours of your desserts to shine. I'm going back for those cupcake cloches. They're perfect for a party I have in mind. It was really hard not to walk out without all those pink cake plates. I have an upcoming Pink party as you know if you follow my Instagram. Are you swooning yet? That blue and the green and the black in the back, where's my fainting couch. That pink one in the front went home with me. It's perfect for my pink party and will compliment the cake nicely. 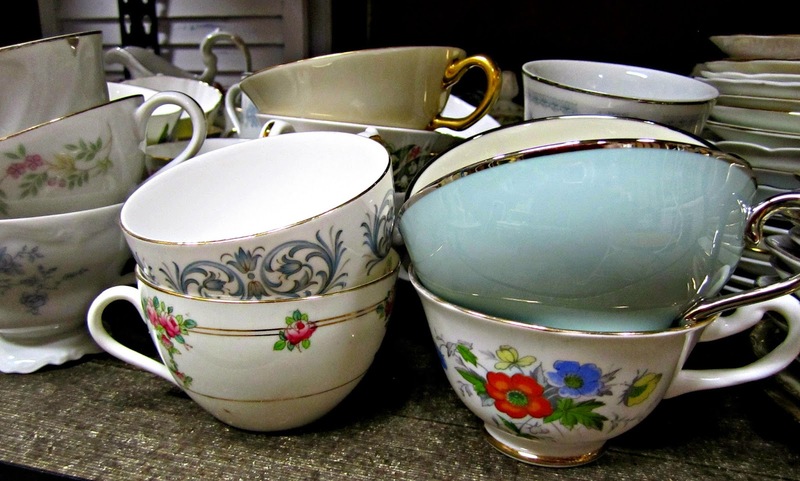 Always wanted to host a tea party but didn't want to buy all the cups and saucers? Vintage Mingle has you covered. Tea parties are great for Mother's Day, a girlfriends get together or to treat grandma to a special day. 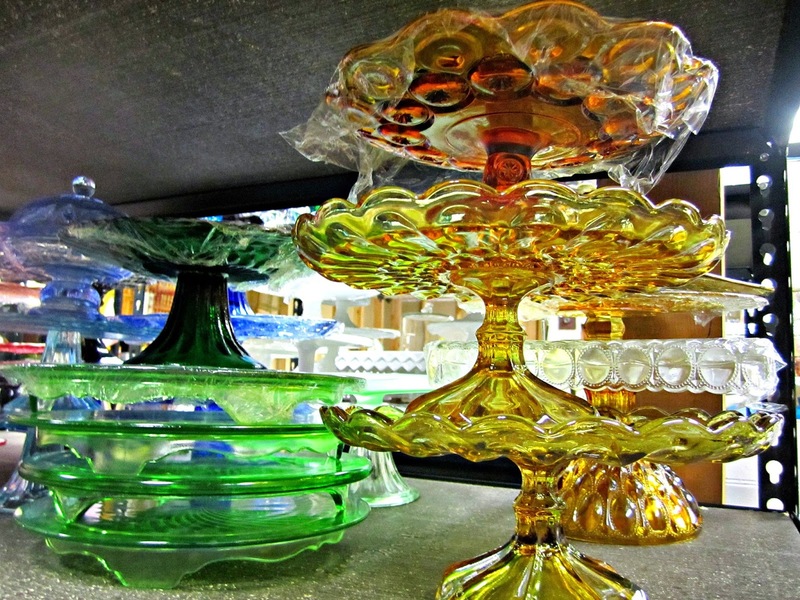 All that coloured glass is just so pretty and the orange on the bottom is gorgeous! I need to rent some for a Halloween party. I could not stop looking at this cutie! Perfect for a Cinco de Mayo party. I can picture succulents or cacti in the orange bowl as part of a centerpiece for a Cinco de Mayo dinner. Vintage Mingle also rents bigger items too. That dessert sign needs to be in one of my parties. I spent a good amount of time visiting the Vintage Mingle Rentals shop. So many items I could rent for upcoming parties. If you live in the Portland metro area and have an upcoming wedding or party, you should make a stop at Vintage Mingle. By appointment only. What a cool place! I never even knew it existed! Melinda, there are some great pieces there. Wow! 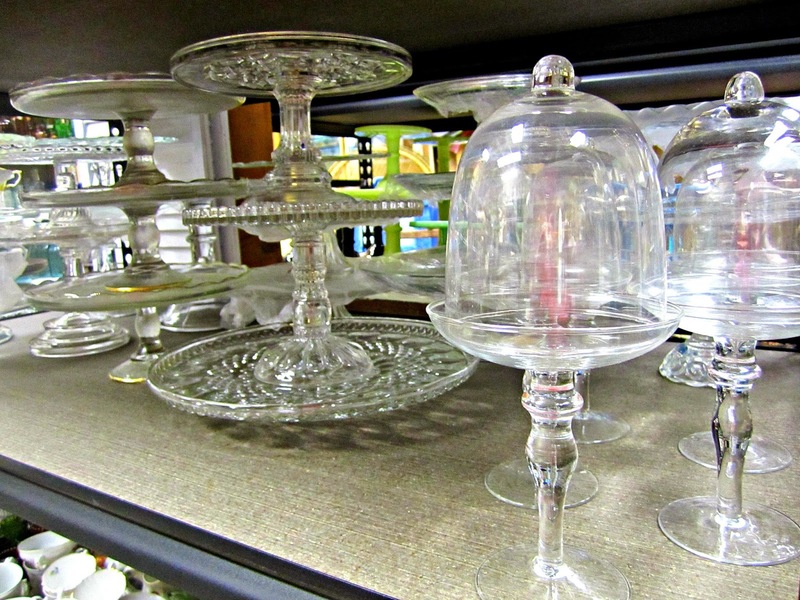 What a great selection of interesting and beautiful serving and display pieces! 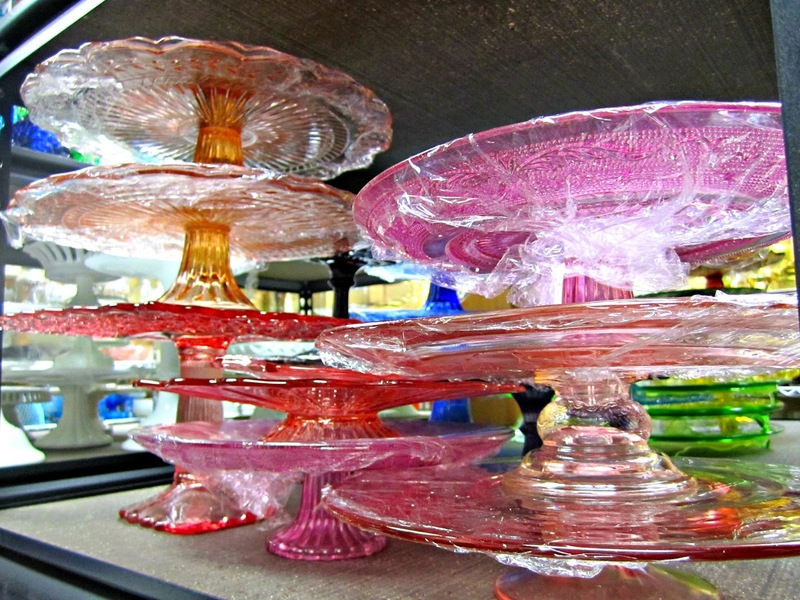 You make a great point about being able to rent these for more than weddings - I had no idea cake stands could be such a thing until this post! The only part that is a little pressure is that it's by appointment only and I'm not necessarily sure I would want to rent anything even after perusing, so it may mean you have some concepts beforehand rather than just browsing. Orange Mew, cake stand love runs deep for us party peeps :) I wouldn't feel pressured because it's appointment only. 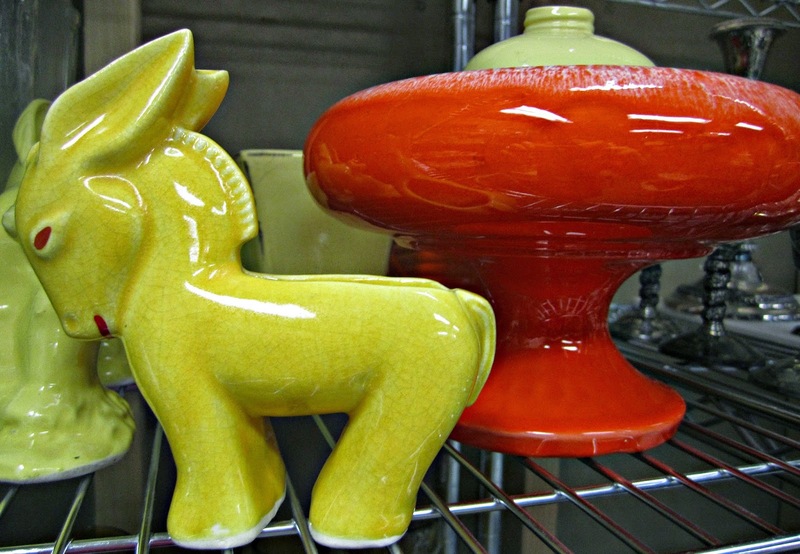 Sometimes you need to see what's available before deciding if you could use some pieces. Wow, they have so much! I'd definitely have to leave my toddler at home if I went in—so many pretty things to break! Ha ha, yes, not toddler friendly ;) Vintage Mingle has a great selection. Thank you so much for the shout out! I love chatting with and showing my space. Looking forward to future collabs with Fizzy Party! It was wonderful to meet you and see your space. I'm excited to add more pieces to my parties with your wonderful selection of rentals. Looking forward to more visits. Yes, there is so many beautiful pieces. What a fun store! Thanks for sharing!